It’s the kids’ Tadika Vonad Sports day again! Although this post is a bit late. The sports day was held about 2 weeks ago. Adam and Meena enjoyed the day. Look at their faces! 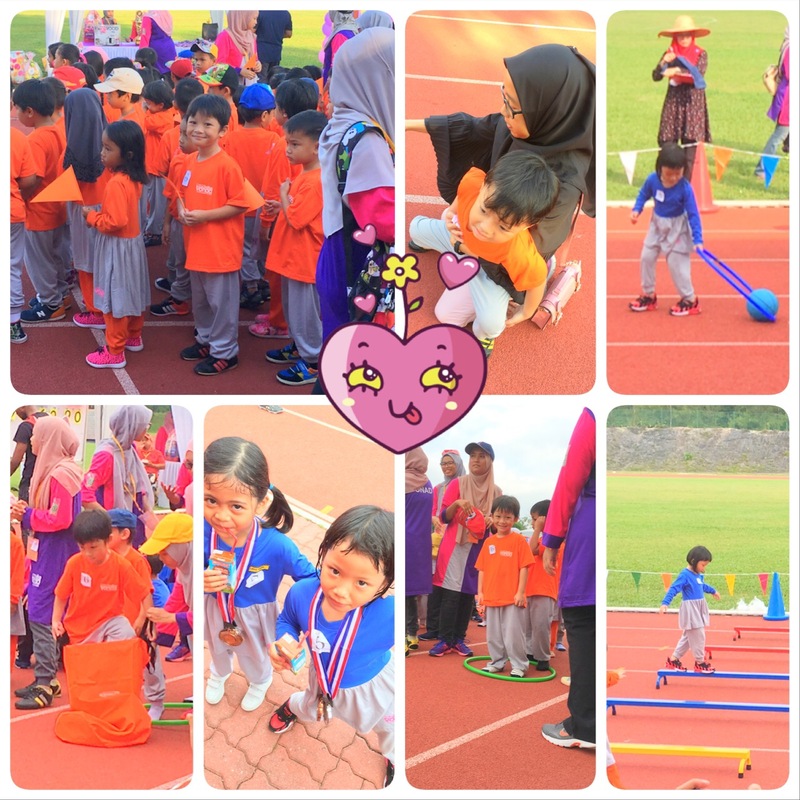 Unfortunately, Azmi did not enjoy it and ran away from joining the competition and sports day activities. Ameena is such a big girl. She talked to her friends, took selfie with them and even walked around with them once their activity is completed! I felt so left out haha. Adam is still a quiet boy and enjoy his aunties’ company more than his friends. Hehe. All in all, I hope they grow to become strong and friendly.